Just because you’re toting a baby, there’s no need to assume you need a bulky stroller to get from A to B. This very smart, ultra stylish and incredibly simple stroller has it all in spades. There’s precious little that this fabulous brand hasn’t thought of when it comes to babies, and the clever Smart Stroller and Peanut Bundle from phil&teds has it all. We especially love how phil&teds has listened to feedback on the previous model and tweaked some features to accommodate its customers desires. One thing you realise when you become a parent is that children grow incredibly quickly. So buying a stroller that can adapt for not just months, but years, is a must. The phil&teds Smart Stroller can be used from six months old through to four years – that’s a serious lifespan. For newborn babies, the Peanut Carrycot allows for a completely flat lay space, so naps on the go are sorted. As baby grows, the stroller adapts, and the Smart Seat can be used either rear or front facing. This stroller can also be used as a travel system with car seat adapters, which are available separately. It’s particularly suited to zipping through the city while maintaining supreme comfort for the child. 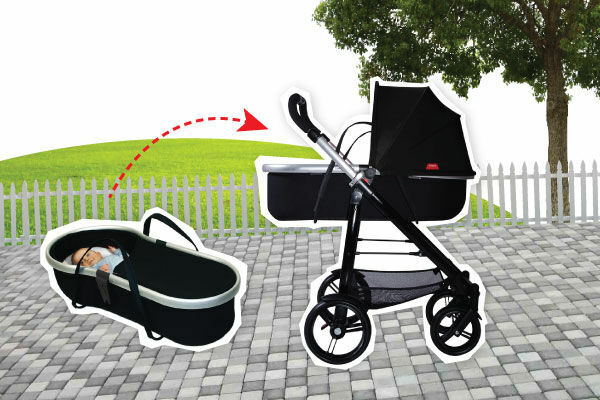 The Smart stroller is lightweight and is only 53cm wide – so it’s the ideal shopping stroller. The telescopic fold also means it’s a breeze to store. The Smart Seat is made from easy-clean, spongy aerocore, so a day spent snacking in the stroller is no cause for concern. This incredible material is not only mess-proof and comfortable, it’s also hypoallergenic, ventilating, insulating, UV resistant, waterproof and non-toxic. 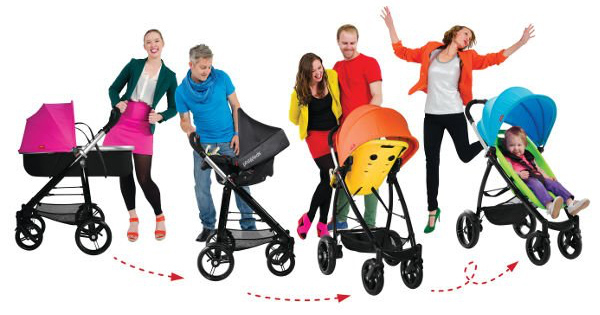 If you’re keen to inject a bit of personality into your child’s stroller – the Smart is for you. While the bundle only comes in black, there’s a rainbow of seat and hood options available. It means you can personalise the stroller, making it easily recognisable. The phil&teds Smart Stroller and Peanut Bundle is available from Babies’R’Us for $499.99. The stroller seat liners, which are also available from Babies’R’Us, cost $34.99 each.